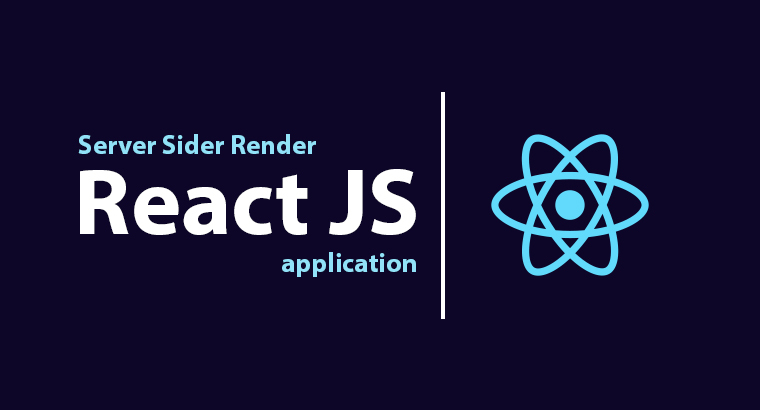 In this tutorial I will demonstrate how to Server Sider Render a reactjs application and to Integrate SSR into CI/CD. I will be using a react project build using Create React App with techstream demo template. Let me explain the tasks and tools for the process in detail. Server Side Rendering will be done using react snap. To demonstrate CI/CD integration, will use Gitlab Pipelines and conventional method where build is done on local system and transferred to server. What is Server Side Rendering ? Dynamic Pre-render: In here the markup is pre-render on server side as and when requested by user on serve before sending the content. Static Pre-render: In here the markup is rendered onto HTML file during build process, its also know as snapshot rendering. We will be performing this one. Why do Server Sider Render ? Extended load time, users need to wait until entire package is downloaded because the browser can only render markups after the download. Lets start by adding react snap. React snap uses puppeteer a node library which provides a high-level API to control Chrome (headless-chrome). This will be used for rendering the markup and creating snapshots. Update the script section in package.json to run react-snap post app build. If you are gonna run this on a container environments puppeteer (headless chrome) may fail due to sandboxing issues. To get around this, you need specify react snap to run puppeteer with --no-sandbox and --disable-setuid-sandbox. If you still get issues with puppeteer refer puppeteer troubleshooting. If you use React 16+ ( mostly you are ) change index.js to use the hydrate(). That's all you need to do, in terms of configuring. 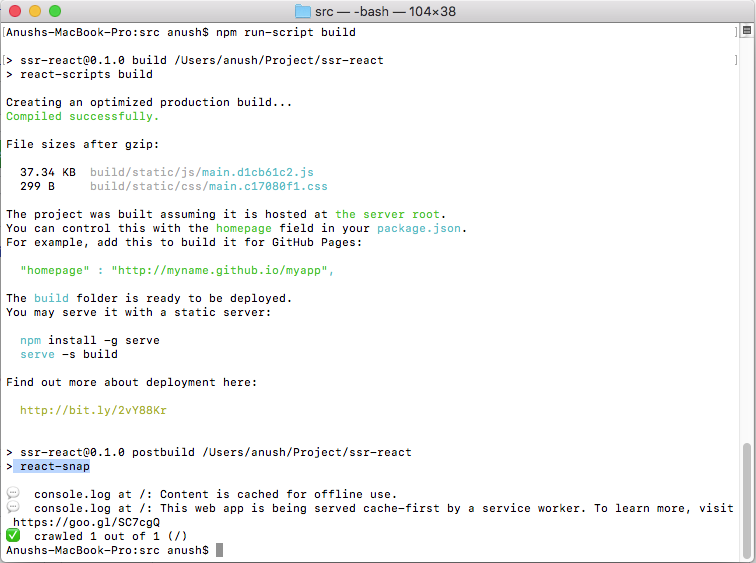 To start the pre-render you can execute npm run-script build from your project root and you can see react-snap, the pre-render process will follow post build. The pre rendered pages will replace the build files created by react-scripts files in build directory. You can upload the directory to server and you have your server side rendered reactjs project. Pre rendering in CI/CD is also straight forward and don't need much change in configurations because the additional step of pre rendering is already defined in package.json. You might need to update your docker images if any to include chromium-browser. I am gonna be using the same settings and configurations I had used in React Js Deployment with small changes to a docker image with chromium because react snaps needs chromium package in the docker. May the force of static files be with you.